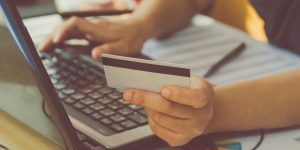 Around four million people in the UK are a thin file customer when it comes to credit applications, according to a recent study by Experian. This poses a challenge to traditional lenders. Why? Let’s discuss thin and thick credit files, and their implications for both lenders and you as a consumer. From most lenders perspectives a thin file customer is someone who has less than two active lines of credit on their credit file. Maybe they’re new to credit or have recently moved to the country. This means that if you have a credit card and a current account with an overdraft you’d probably not be a thin file customer. However, this is more of a guide and not a rule; lenders might also consider applicants who are not on the voters roll to be a thin file customer. Thin files challenge traditional lenders because they provide no insight into the financial behaviour of these customers; there is no genuine way to measure the risk of default on these applications. When confronted with the concept of thin file a few years ago, I struggled to explain to various stakeholders why we cannot predict default rates on thin file customers with any accuracy or what exactly make a credit file thin. Most online lending decisions nowadays are made using automated scorecards which profile your data against thousands of customers who have already paid back or are paying back their loan/credit commitment. This then helps the scorecard to decide what risk the lender has of you not paying back your loan; having a thin credit file could mean that you pay more for your loan because the scorecard doesn’t have enough information to assess you properly. Having a thin file does not automatically mean that you are presumed to be bad with credit – however you are likely to pay a higher cost for credit as lenders are protecting against the risk of default until you prove your creditworthiness. For people with thicker credit files, getting credit – and at a good cost – can be easier, but only to the level where the lenders can substantially evidence that the borrower can afford to repay. At Trezeo, we are reinventing the way a lender can measure and assess customer risk. We aim to eliminate the barrier to affordable credit that many thin file customer face by measuring risk in innovative ways. One way we’re doing this is by using psychometric analytics which helps build a profile of each customers’ attitude and behaviour towards finance. Adding this information alongside other quantitative data we are able to make decisions based on an individual. As our data set grows, our bespoke machine learning models will help shape the lending industry on how thin file customers can get better served in the UK and beyond. There’s a better way, and we’re on the case.